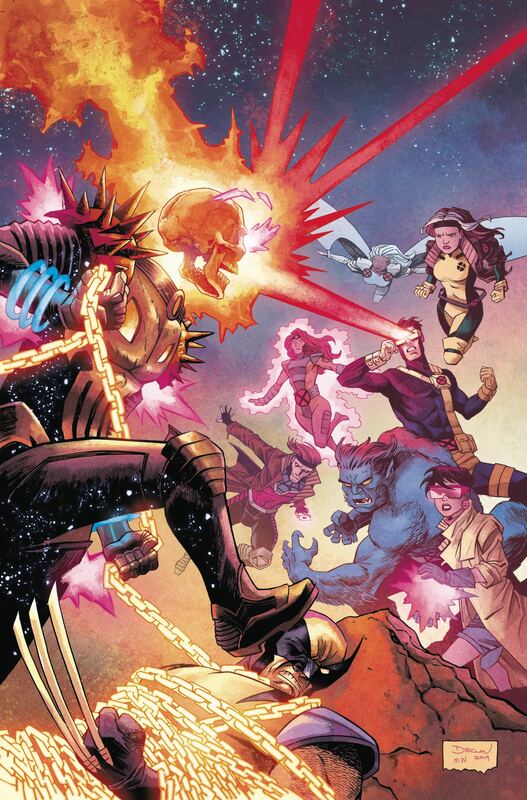 Cosmic Ghost Rider becomes an X-Man - whether Charles Xavier likes it or not! What could make Cosmic Ghost Rider even more powerful? How about slapping some Phoenix Force in there! Wolverine's not the only guy with a sweet motorcycle in this issue!